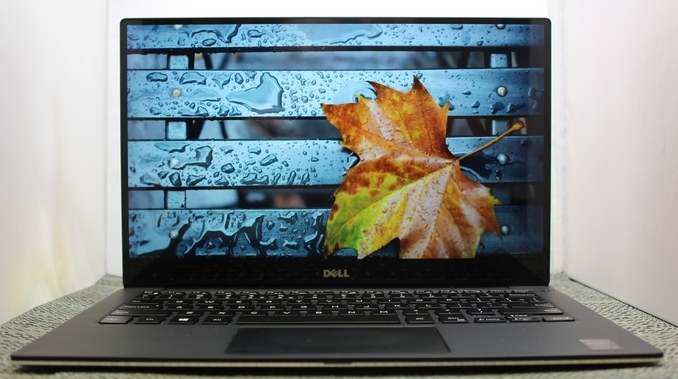 The XPS 13 was one of the best laptops of the year, but it did have some issues, as all devices do. One that was very frustrating to deal with during the review was the aggressive Content Adaptive Brightness Control (CABC) which was enabled by default, with no way to disable it. CABC is a common method of saving power, since the backlight can be lowered depending on what content is on the display. Unfortunately, it was so aggressive that trying to accurately establish battery life was difficult, since we set the displays to 200 nits. With the CABC, brightness would vary quite substantially just with webpages flashing onto the screen. It was also an issue when trying to calibrate the display. The calibration software first sets a baseline brightness on white (200 nits again is what we use) and then flashes various shades of gray and color to create a profile for the display. Once again, the CABC would get in the way, changing the brightness that the software was expecting. I think for most people, it would be something that they would notice, but not something that would bother them too much, unless you were doing certain tasks where it would kick in. I am all for power saving features, but anytime you add something like this, you need to have a way to disable it for customers who don’t want it. Luckily Dell is now offering a patch to disable this feature. At the moment, the only way to get the patch is to contact Dell support. It would be nice if they would just offer it as a link to download, but for the moment this is what we have. Being able to remove the aggressive CABC fixes one of my biggest issues with the XPS 13, and it was already one of the best laptops of the year. With this fix, it moves up a bit more. Update 2016-01-04: Dell is now offering the patch on their site on the source link below. Agreed! Battery life is a HUGE selling point for the XPS 13. Will it be affected by this patch? absolutely agree! the fact that it took a year to provide a fix for this simple issue is a farce. there's even the new model out already which suffers from the same problem if i'm not mistaken, how long will it take for this one to be fixed as well? i also read that the display brightness setting itself can't be controlled 100% manually on last years xps13 and the ambient light sensor always readjusts the manual setting, is that fixed now as well?